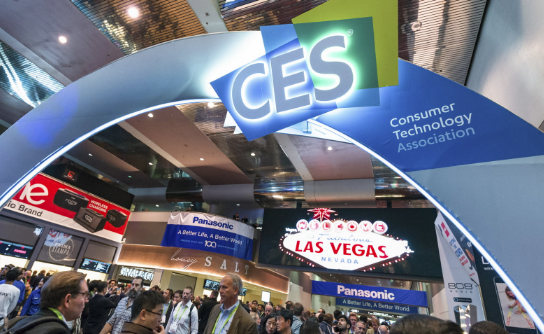 CES and NAIAS take place in January: Has the Consumer Electronics Show (CES) in Las Vegas become the most important trade show for automakers and tech partners to attend? It depends on who you ask, but don’t forget about the North American International Auto Show in Detroit. In fact, it clearly beat CES in online attention. The Detroit auto show’s week of news conferences and other events (Jan. 14-17) got nearly 60% more mentions in news and social media than automotive news and topics the week before at CES. That comes from a study by Talkwalker, an advisory company in online marketing. While CES is about much more than cars, both are significant events, probably the most important shows for new product launches and concept previews. So, what were some of the highlights at these leading auto industry events? Here are just a few. Nissan unveiled the Leaf e+ at CES, with 40% more range than its predecessor — coming up to 226 miles per charge from its previous 150-mile range. There are minor exterior changes made the front-end design, and a new “e+” logo on the back end. It will go on sale in the U.S. this spring. The new version of the Leaf was supposed to be revealed at the LA Auto Show in November, but things got put on hold once former Nissan chief Carlos Ghosn was arrested. At the Detroit Auto Show, Nissan showed off an elevated, electrified sport sedan that will deliver 483 hp, 590 lb.-ft. of torque, and 380 miles of range. It’s said to be one of seven EVs Nissan will launch by 2022. Ford and Qualcomm made announcements at CES on 5G C-V2X cellular technology. That’s been a problem for other automakers who still support dedicated short range communications (DSRC). NHTSA, under the Trump administration, hasn’t decided yet on whether the initial plan to require installing DSRC equipment in new vehicles beginning in 2020 or 2021 will be mandated. That’s given C-V2X an opportunity to gain supporters. Audi stayed committed to DSRC in its technology announcements at CES. There’s been a lot of pressure on automakers to come up with the next generation technology to strengthen data streaming vehicle-to-vehicle as more applications and devices become integrated with cars. Ford says that but 2020, all of its vehicles will be equipped with built-in cellular wireless connectivity from AT&T in the U.S., Vodafone in Europe; and China Unicom in China. The automaker said that the initial systems will enable over-the-air updates. Several automakers opted out of the Detroit event this year (and the auto show will be moving to June next year to get out of the freezing cold time of year in which it’s been taking place for many years). But it’s still a place for several product launches with crossovers and electric vehicles playing a big role. Cadillac will supplant Chevrolet as GM’s lead brand in EVs in the next few years. Cadillac previewed an all-electric Tesla competitor that will be the first vehicle derived from GM’s dedicated EV architecture. A variety of body styles will eventually be offered, but the electric crossover will come out next year. Nissan’s 380-mile range concept vehicle (previously mentioned) goes by the name Nissan IMs Concept for now. It’s spacious interior offers a wide video screen dashboard, gold details, and a distinct rear cabin with a large center seat and smaller side seats. On January 7, Tesla broke ground on its new Chinese Gigafactory in Shanghai. The electric carmaker plans to produce Model 3 and Model Y electric vehicles at that plant along with its battery packs. CEO Elon Musk said initial production in China of the Model 3 will start towards the end of this year, with volume production coming next year. Tesla is on its way to being the first wholly-owned car plant in China operated by a foreign company. Owners of the electric Porsche Taycan, which is coming out later this year, will be getting three years of free charging stations in the U.S. that have a minimum of two 350 kilowatt chargers per site. One very attractive feature for Taycan owners will be the ability to add more than 60 miles of charge in four minutes. That comes from an 800-volt battery that can absorb these fast-charges. That will beat Tesla, which is promoting its 120-kilowatt supercharging stations that are capable of charging about 80% of the battery in about 30 minutes. Electric scooter rides have taken off in the past year in Southern California and in other parts of the country. With it comes the risk and danger factor. A recent study looked at scooter-related injuries of 249 patients at two Southern California emergency rooms between September 2017 and August 2018. Riders, with an average age of 34 years and 58% of them male, had a lot more injuries than pedestrians,. While they only make it to a top speed of 15 miles per hour, less than 5% of riders reported to have been wearing helmets. About 40% of them had head injuries and nearly one third had broken bones. A study in JAMA Network Open found a lack of operator adherence to traffic laws or warning by the electric scooter companies.